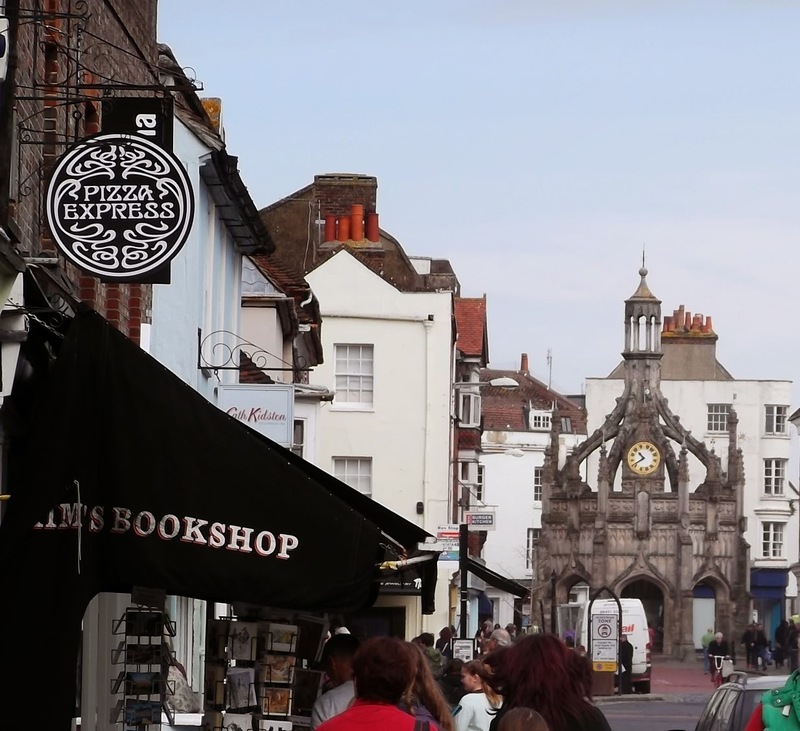 Bishop Edward Storey gave the Market Cross to Chichester in 1501 to shelter the itinerant merchants. As he market grew, the town added more market buildings. The Buttermarket of 1807, built by John Nash, still survives with its six Doric columns and Coat of Arms. It leads now to an indoor market. West from the Market Cross is the Dolphin and Anchor Hotel which was two C18th coaching inns. Also along this road is the motto Vis et Saplentia (Strength and Wisdom) above the door of the former Blue Coat School. The Cathedral dates from C12th when it suffered from fire twice, first during building and again when complete. The second fire burnt the wooden roof, and Bishop Seffrid II built a stone-vaulted roof to replace it. During the Civil War, Cromwell’s forces attacked the Cathedral’s art works and its documents. However, an even greater disaster struck in 1861 when the tower fell down and crashed into the nave. The re-built steeple rises above the town and can be seen from all directions. There is also a C15th detached bell tower. The Cathedral was not a monastery, so had no cloisters. However, since about 1400, it has covered timber walk-ways, or cloisters, around the old burial ground which is now a lawn. 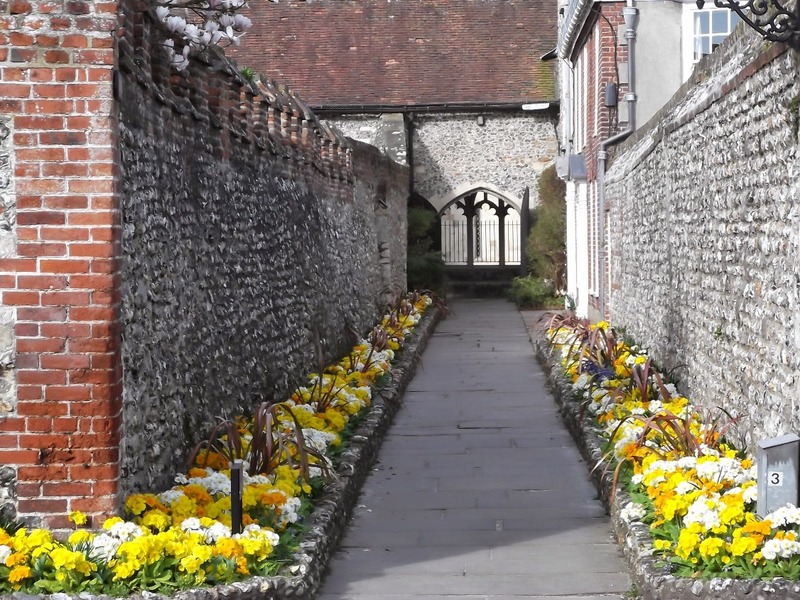 The 1327 St Richard’s Walk leads to Canon Lane, which is close to the gateway to the Bishop’s Palace. The Cathedral has for some years been home to a family of Peregrine Falcons. The Pallant House Gallery features C20th British art. The Gallery re-opened following a re-build in 2006 which incorporated the Grade I listed Queen Anne Town House. The acclaimed gallery has won many awards, and has a renowned learning and community programme. The Oxmarket Gallery is a charity which provides exhibition space to promote high quality art. Exhibitions are free to attend and attract a large audience. Visitors can purchase original and affordable artworks. The Gallery is in a Grade II listed medieval church. The decommissioned church became an arts centre in the 1970s. Explore rescued rural buildings set in a 40-acre site in the South Downs National Park. Learn about the people who lived and worked in theme­ from Anglo-Saxon to Edwardian times. While you’re there take the dog for a walk in the woods, enjoy a picnic or visit the café. There’s an annual programme of events including the Food & Folk Festival, Rare Breeds Show, and Vintage & Steam. Previous PostInverness in the Highlands of Scotland has the heart of a city and the character of a town with a host of historic buildings. 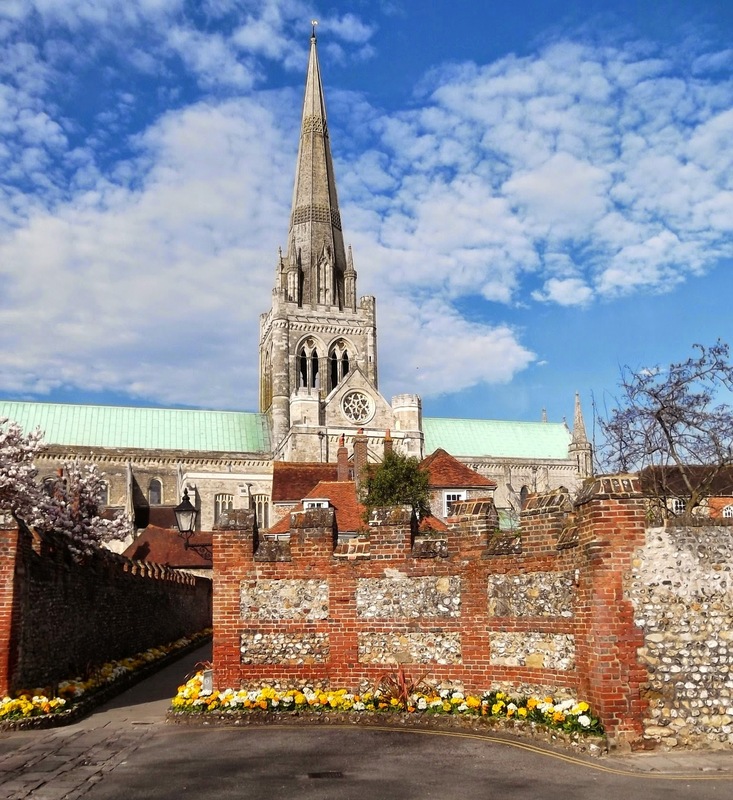 Next PostRochester in Kent, is a historic town on the route between London and Dover, and home to one of England’s greatest novelists.